Deep Brain Stimulation (or DBS) has become in recent years a very effective and common treatment which significantly alleviates Parkinsonian motor symptoms. The treatment consists in delivering short pulses of current to the neural pathways affected by the disease (more precisely located in the basal ganglia) by the means of invasive electrodes. The DBS procedure also offers the opportunity to record, post operatively, the natural electro-physiological signals in extra-cortical regions that are heavily involved in the generation of volitional motor command. It appears that oscillation patterns, present in the recorded local field potentials (or LFPs), correspond to muscular force regulation and possibly to the modulation of limb stiffness during a motor response. We are currently developing new recording and experimental software, that will expose the test subjects to different quantifiable motor tasks while still being able to accurately measure their deep brain activity. Using advance digital signal processing and machine learning technics, we intended to breakdown LFP signals into their fundamental oscillatory components. Understanding how those signals are composed should give us a better understanding of motor functions are encoded within parts of some the extra-cortical circuity and enable us to reconstruct very effectively the motor intent of the user prior to its actual execution. 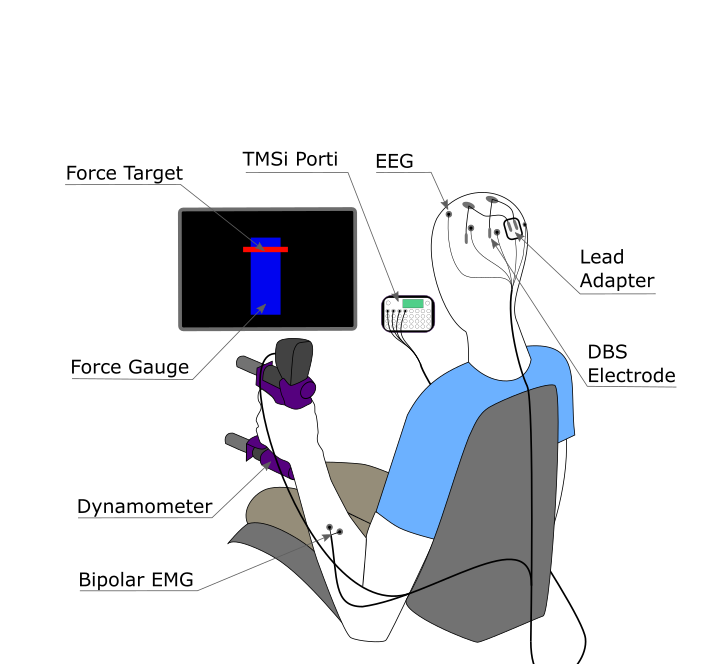 Our experimental approach could ultimately lead to novel and exciting forms of brain machine interfacing. 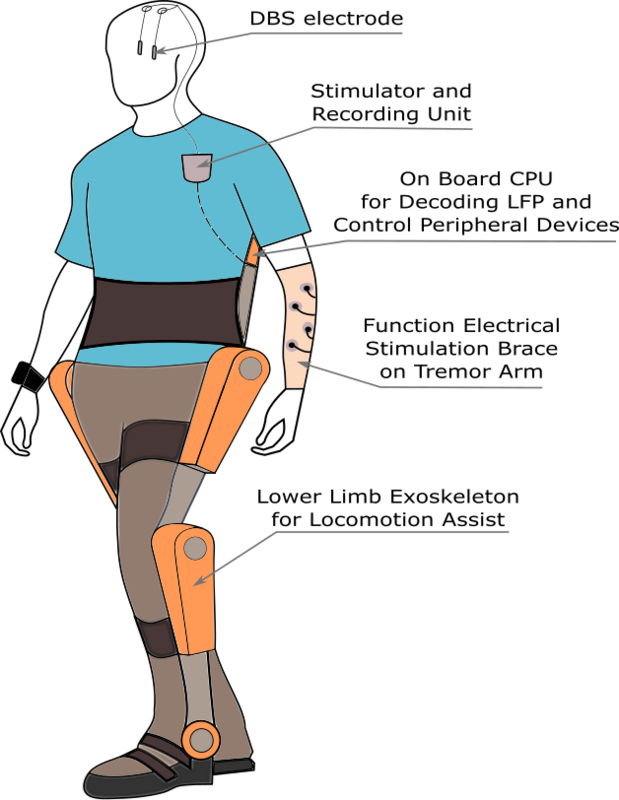 DBS users could for instance benefit from the assistance of robotic limb extensions and tremor supressing stimulators. The response of those devices will deliver optimal assistance to the patient based direcly on the deep brain activity pattern, further restoring their quality of life and easing their treatment.